I think its Ok to say we have character. Lots of people I know have character. That’s why I spend time with them. 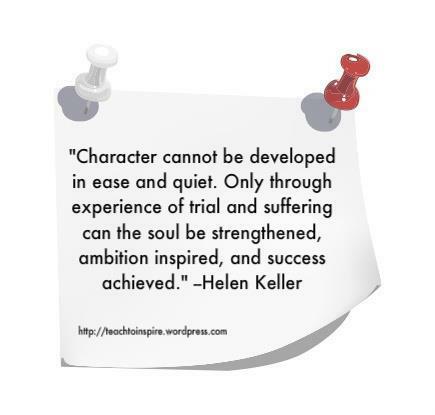 I know lots of people who have traveled through their own trials and persevered. We are all unique, but the same in our drive and ambition. We have some of both kinds of doctors in our lives right now. In all honesty, I have had better luck overall picking from the doctor pool than Meghan. Even with some bumps in the road, my problems, not withstanding the Cowden’s Syndrome – have all been fairly easy to diagnose and treat so far. Meghan on the other hand has run in circles since she was a baby. We have had this kid at a flow chart of professionals, and while we have gotten some significant and important answers along the way, I find it almost inexcusable that she is still suffering with random, unexplained fevers and headaches. I find it disgraceful that she has been on a rotating cycle of antibiotics about every 8 weeks for over 2 years and no one but me is screaming about it. I find it downright scary that she needs 100mg of Celebrex a day to move, and 1600 mg of acyclovir to keep the Herpes Simplex infections at bay. Interesting to contemplate that this doctor from this world-famous hospital was being called “Lazy,” but I have never heard my pediatrician speak ill of anyone. Now I doubt the man is lazy in the literal sense of the word, but in the “problem solving, figuring out the mysteries of what makes my unusual patients tick” way, I guess he is. Meghan’s pediatrician is one of a small group of doctors we are blessed to know. They are few, but they love her like she is their own. They believe her. They validate her. And they won’t stop pushing until they figure it out. So, while I get tired from running to doctor after doctor… tonight I am grateful for the men of character. The ones who take seriously their oath, and who remember why they became doctors to begin with. If you saw my face right now you’d enjoy my expression which says, “WHAT THE CRAP? !” when I read the “no necessary follow-up, and he is sorry Meghan isn’t feeling well.” comment. KEEP FIGHTING. I prayed for you both last night. Will continue.